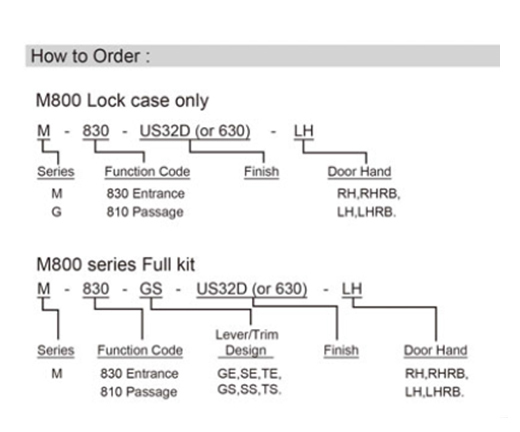 Luter's ANSI Commercial Trim Styles are the traditional lever designs offered on the M800 Series mortise lock. 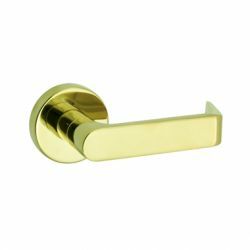 Every lever handle can be used with any of the rosette or escutcheon trims. 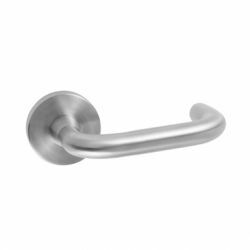 Lever Handle Forged Solid Brass or Stainless steel 304/316. 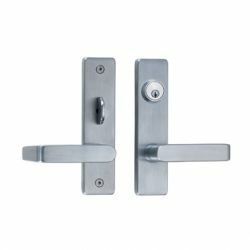 Out side lever handle can't be removed from outside. 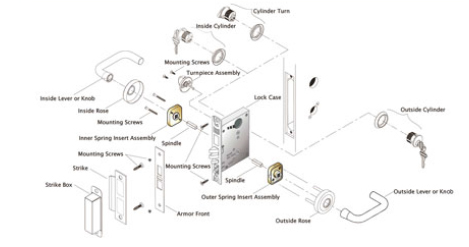 Inside lever handle can be snapped in place. Stainless steel S-Round/flat edge 2 7/16" (62mm) Diameter. 605, 606, 611, 612, 613, 619, 625, 626, 629, 630, PVD coated ZrN.